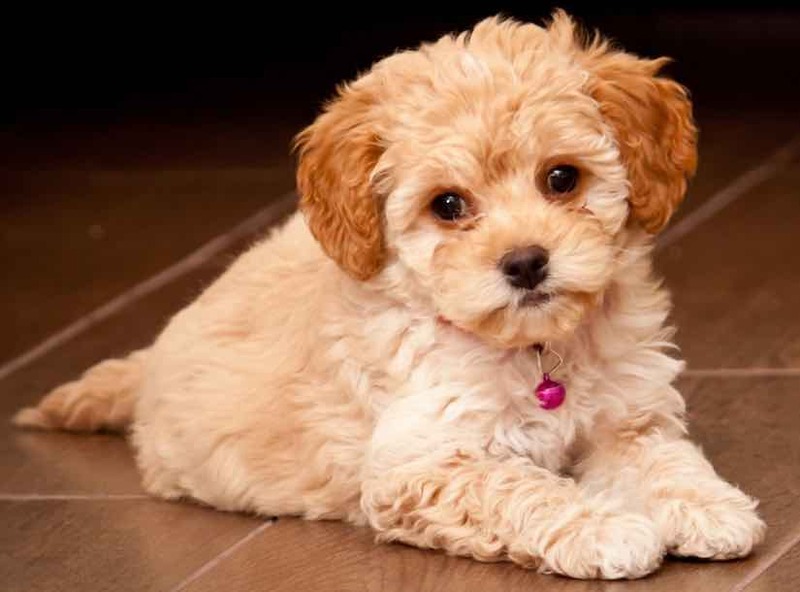 Maltipoo is a designer dog breed made by crossing purebred Maltese with purebred Toy Poodles. Maltipoo is one of the cutest designer dog breeds. They are beautiful and intelligent with a sparkle in their eyes. There are many types (F1/F1b/F2/F2b) of Maltipoos. The best way to forecast the personality of your puppy is to look at the parents, their breed characteristics and know you can get any combination of any of the characteristics found in either parent’s breed type. They are intelligent, tolerant, friendly, and very loving. Maltipoo hybrids of all generations are friendly with everyone including strangers and kids, which makes them an ideal choice as a family dog. They are cheerful, trustworthy, gentle, affectionate, smart and highly trainable lapdogs that have a high desire to please. The Maltipoo can be taught many tricks and is a fun companion to have. The Maltipoo should be 10 to 12 inches high and weigh about 10 pounds. It is a very little designer dog. You cannot imagine how small it is until you hold one! 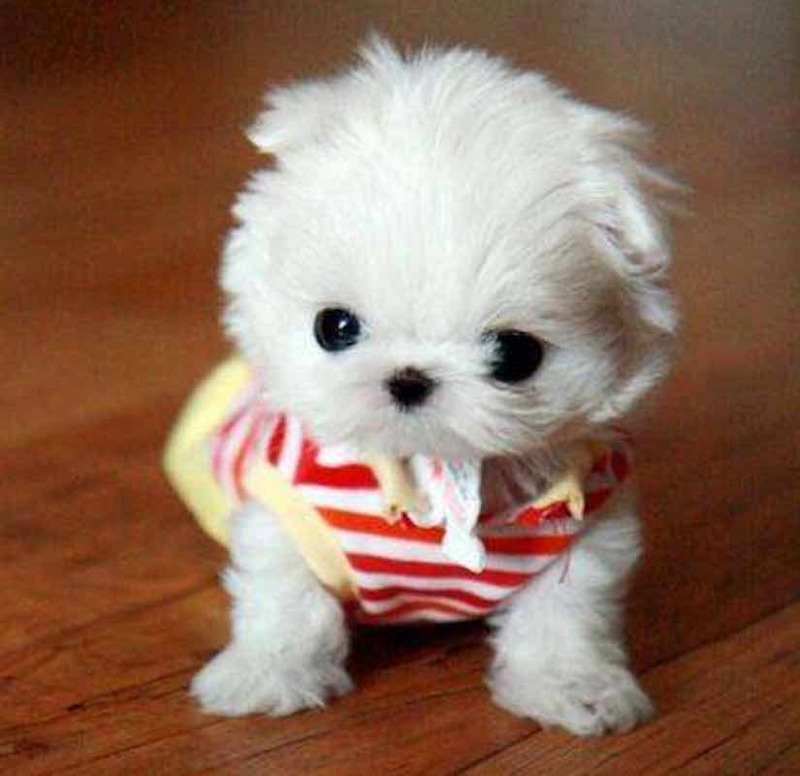 What is a teacup Maltipoo? How big is a teacup Maltipoo? 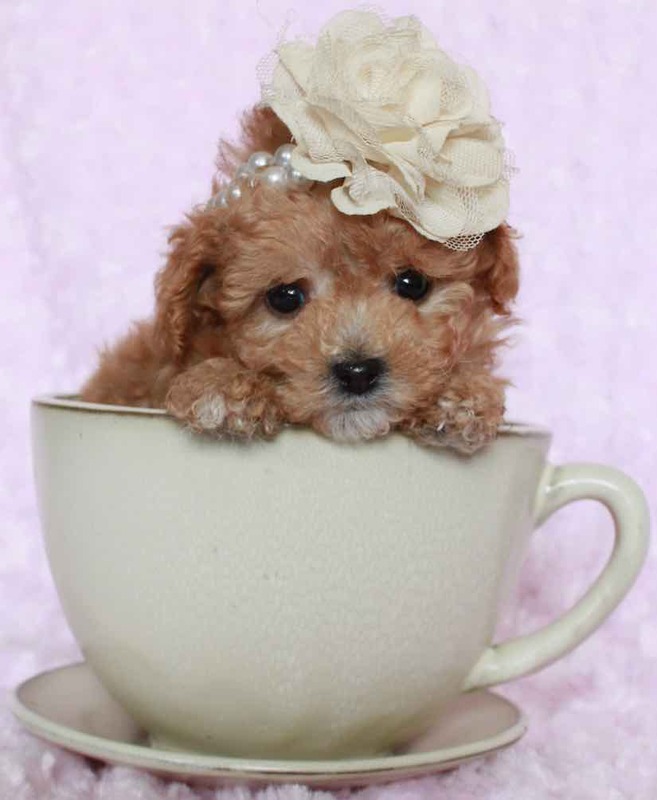 The teacup Maltipoo is a way breeders advertise how small their Maltipoos are. 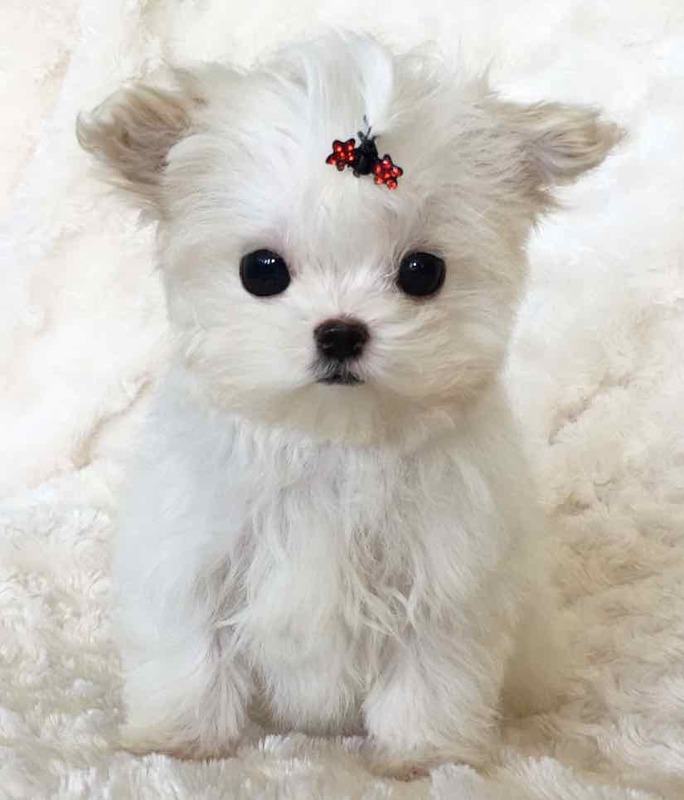 Maltipoos bred for mini teacup sizes sometimes suffer from ailments due to weak bone structure. They can be below 10 inches in height and weigh about 5-7 pounds. Discourage breeding for extremely small teacup specimens. Is Maltipoo Hypoallergenic? Do they shed? Almost all Maltipoos have a low-shedding coat, but the degree of shedding will vary from dog to dog. In designer dogs, no two dogs are alike. F1b hybrid puppies from one purebred toy Poodle and an F1 Maltipoo as parents have the maximum probability of being hypoallergenic. What is an F1 Maltipoo? Do they shed? F1 Maltipoo is the first generation of hybrids bred from purebred Maltese and purebred Toy Poodle as parents. F1 Maltipoo generation has a higher risk of shedding, but most do not shed. When they do shed, most shed very lightly. They do not have an undercoat and shed so little hair that you would not notice it. What is an F1b Maltipoo? Do they shed? The F1B hybrid is 75% Poodle (one purebred Toy Poodle and an F1 first generation Maltipoo as parents). F1B hybrids have beautiful curly plush coats and have the maximum chance of being non-shedding. Also, F1b Maltipoo is often smarter. 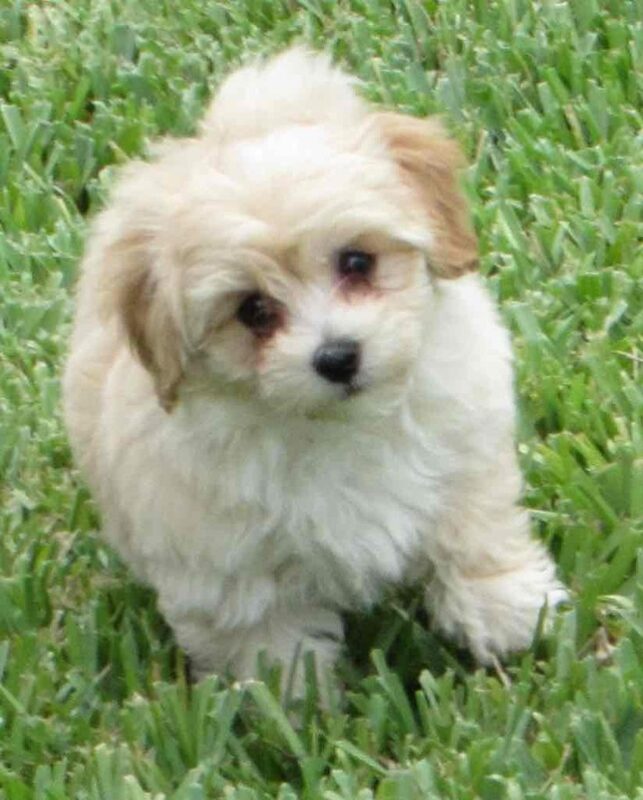 Some breeders claim that the F1 first generation in Maltipoo is healthier and hypoallergenic. However, while there is no problem with the F1 first generation, the F1b generation always has a greater chance of wiping out bad genes responsible for many health issues. What is an F2/F2b Maltipoo? Do they shed? The second generation Maltipoo (F2 or F2B) is produced by crossing the (F1 X F1 = F2) hybrid or a (F1B X F1 = F2B) hybrid. Both F2 and F2B generations also have a high success rate for non-shedding but the F2 generation may develop some health issues arising out of a weak bone structure. 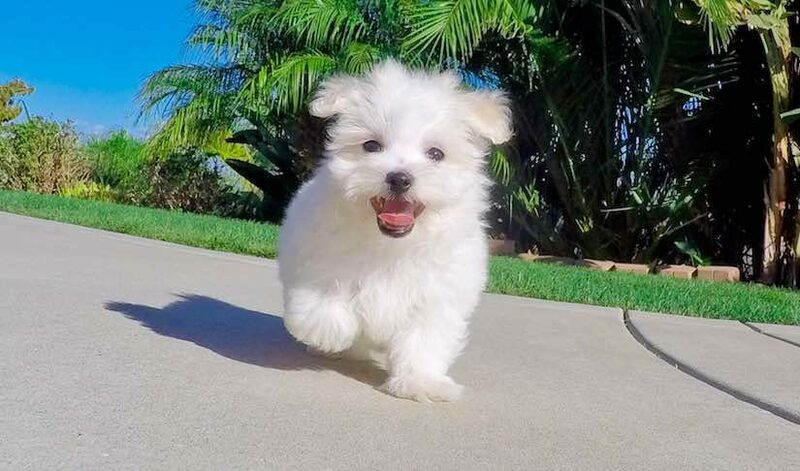 F2B Maltipoo is healthier. Common coat colors include white, black and white, cream, apricot, gold, red, and sometimes gray and black. Unlimited colors with white markings are possible in the F1b backcrossed Maltipoos. How long do Maltipoos live? 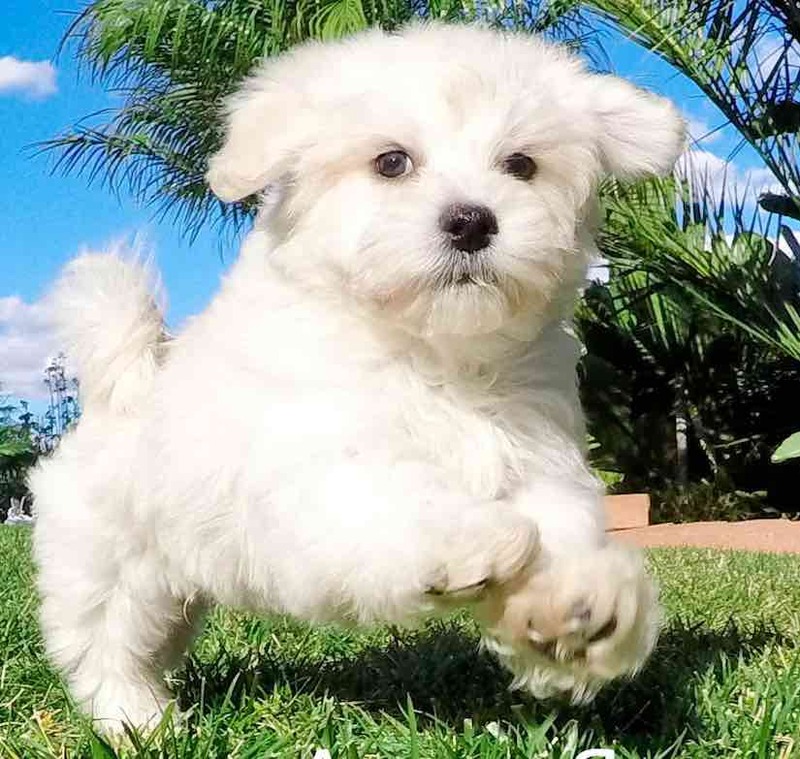 Searching for physical confirmations will help you in picking up a good Maltipoo puppy. However, remember that this is a designer dog and a unique mix of characteristics can be observed in each designer breed. No two designer dogs are alike! Look for the following physical characteristics. General Appearance: The Maltipoo is a symmetrical, active dog, sound and well put together, not clumsy or long in the leg, displaying a kindly expression and possessing a personality that is eager and alert. Head: Head in proportion to the size of the dog. Should not look too small or too large. Neck: In proportion to the body. Forequarters: Forelegs are straight, their pastern joints well knit and devoid of an appreciable bend. Body: Should be in every way balanced. The dog should be compact, small but finely balanced (good quality). Hindquarters: Legs are fine boned and nicely feathered. Tail: Is set high and should be long haired and carried well arched over the back. Gait: The gait should be smooth and flowing.